Join our tribe on April 21st to 27th in the magical jungle town of Nosara, Costa Rica. We will spend a week indulging in yoga, meditation, nutritious food, beautiful sunsets, community, and your truest heart's desires. We are here to support you in getting out of your everyday routine and immersing yourself in our beautiful community to heal, grow, and expand to your fullest. Tracy Lynn Stanbury is a movement guide that believes in the healing power of yoga in all its manifestations. With an eccentric background in athleticism and yoga, Tracy has studied and pulls from her dance experience that includes ethnic movement forms, fire dancing and multiple disciplines of yoga. She guides power vinyasa, sculpt, barre and pilates fusion classes throughout Los Angeles and in mental health facilities. She works to produce an experience that makes her students feel challenged, intrigued and most of all empowered. Tracy believes that our yoga practice is a celebration of our presence and that our mats are a microcosm of real life; let’s explore into every corner of ourselves, carve into our consciousness and mix in a dash laughter along the way. You can check her out at TLSyoga.com or on Instagram. Emma Lynn Tureff is an empath born with a passion to heal. She is a certified Personal Trainer, Yoga and Pilates teacher, and a graduate of the Institute for Integrative Nutrition (IIN) as a holistic health coach & nutrition expert. She works with doctors to offer clients nutrition prescriptions as well as plant-based transition programs and specializes in natural hormone balancing, sustainable weight loss, gut health, and in healing food-relationships. She also coaches one-on-one intensive transformation programs. Offering a combination of fitness, nutrition, mental training, habit reformation and self care tools. Her goal is to hold a loving space for self awareness, help her clients become their own healer, teach them how it feels to live each day feeling limitless in their skin, and to walk them back home, introducing them to their highest self. 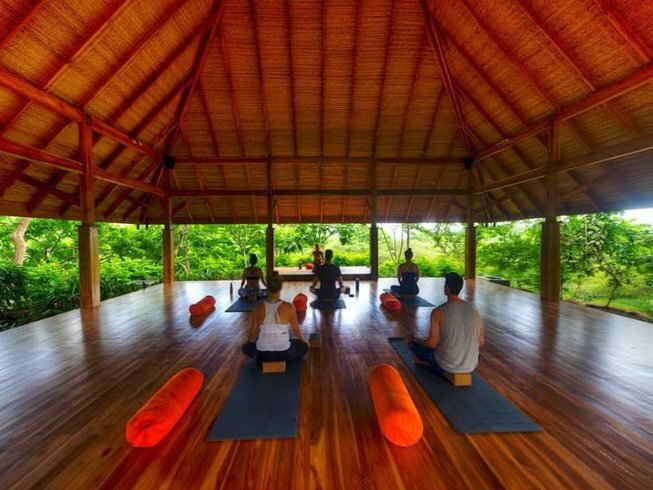 Bodhi Tree yoga resort was beautifully designed around nature, leaving the surrounding jungle as it was meant to be. 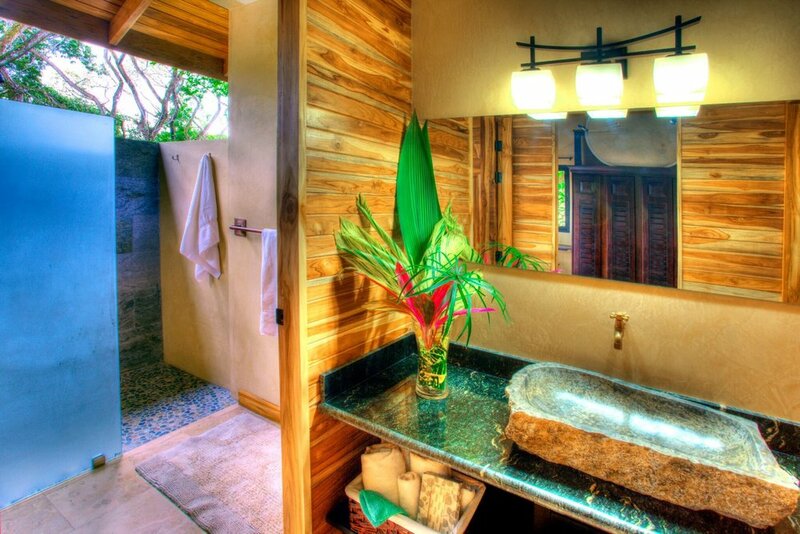 As a green resort, they are conscious to protect and preserve the environment while also redefining comfort and luxury. You will wake with the sounds of wildlife and can take an early morning dip in the saltwater infinity pool or enjoy fresh juice or coffee at the community smoothie bar. Soothing fountains and waterfalls guide you through the local fauna on your way to your Balinese-inspired rooms. 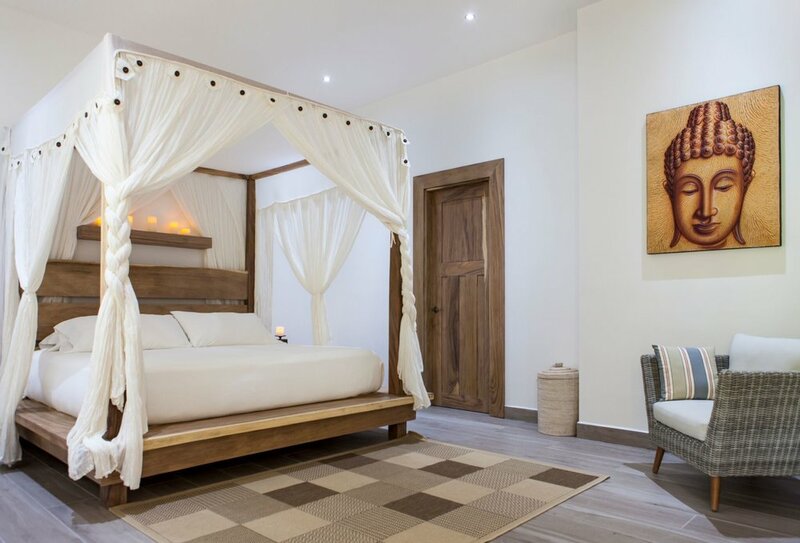 Open the door to find a star-lit shower, luxurious cotton sheets and a canopied bed that promises a well-deserved rest. 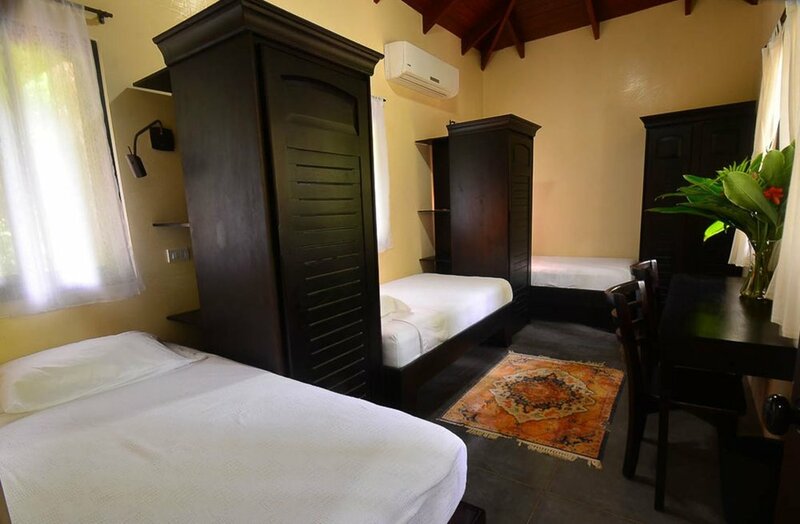 All bungalows have air-conditioning, free Wi-Fi and modern amenities abound. Security staff is available 24 hours a day and housekeeping staff will keep your room looking as beautiful as the first day you arrive. Three delicious meals are served a day using organic and local ingredients whenever possible. They strive to provide guests with the highest level of nutrition- serving fresh soups, salads, organic chicken and fish, and vegan and vegetarian options.. and of course delicate health conscious inspired desserts. Get ready to fully embrace the 'Pura Vida' lifestyle as you enter this magical jungle town known for world-renowned yoga, surf, and community. 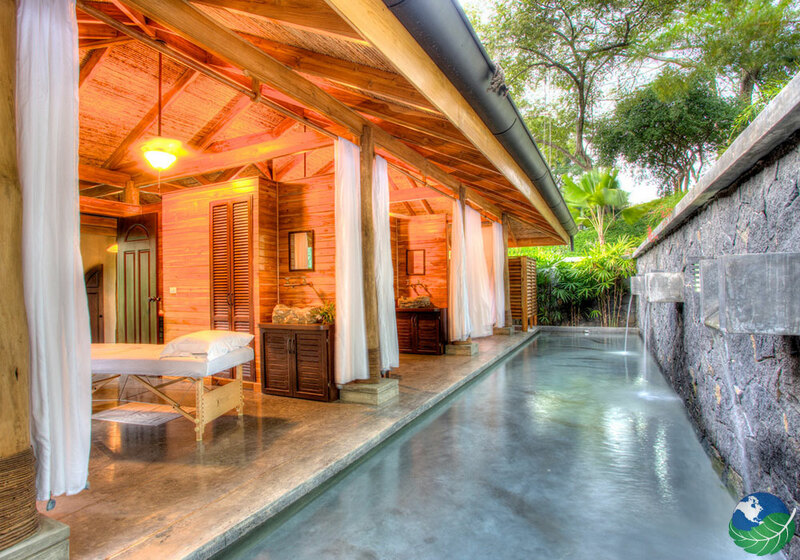 Nosara has attracted health-conscious expats from all over the world for its beautiful culture and lifestyle. Walk, bike or ATV down the unpaved roads and stop at local organic cafes or take a dip in some of the cleanest ocean waters in Costa Rica. At the right times of the year you can catch the bioluminescence lighting up the ocean, a moment you will never forget. Nosara has easily became one of our favorite retreat destinations and we are excited to share it with you. You can fly into Liberia Airport (LIR) and take a shuttle to Bodhi Tree (about 2 hours), or you can fly into San Jose Airport (SJO) and take a small jumper plane into Nosara through Nature Air. If booking this option, you should plan ahead of time since the small planes may fill up quickly.